Two top editors at Gawker Media have resigned in protest over the company's removal of a story that ignited an online firestorm. Gawker Media executive editor Tommy Craggs and Gawker.com editor-in-chief Max Read announced their decisions in a pair of memos that were republished Monday on the company's flagship site. Both Craggs and Read cited their displeasure with the company's business managers voting to take down the controversial post, which centered around the alleged sexual solicitation of a media executive who is also the brother of a former Obama administration official. According to Craggs, at least two advertisers -- Discover and BFGoodrich -- "were either putting holds on their campaigns or pulling out entirely" over the post. In his resignation letter, Read cited meddling by the business side of the publication for his decision to quit. "That this post was deleted at all is an absolute surrender of Gawker's claim to 'radical transparency'; that non-editorial business executives were given a vote in the decision to remove it is an unacceptable and unprecedented breach of the editorial firewall, and turns Gawker's claim to be the world's largest independent media company into, essentially, a joke," Read wrote. Craggs, who helped edit the post by reporter Jordan Sargent, was one of two members of Gawker Media's managing partnership to oppose removing the story in a 4-2 vote. (The other dissenting vote came from Gawker Media's president and chief legal counsel Heather Dietrick.). In his resignation letter, Craggs said he was surprised that the story's fate was even brought to a vote. "Until Friday, the partnership had operated according to a loose consensus," wrote Craggs, who added that nothing "had ever come to a formal vote" prior to last week. The post's removal was unprecedented. 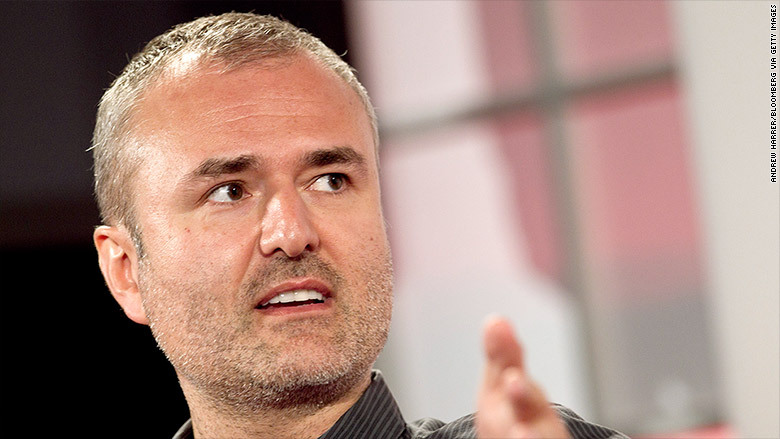 Nick Denton, the founder and chief executive of Gawker Media, said in a memo Monday that it marked the first time the company had "removed a significant news story for any reason other than factual or legal settlement." In the email sent to editorial staff, Denton defended the decision, saying the story "could not be justified to colleagues, family members and people we respect." "The insistence the post remain up despite our own second thoughts: that represents an extreme interpretation of editorial freedom," Denton wrote. "It's an abuse of the privilege. And it was my responsibility to step in to save Gawker from itself, supported by the majority of the Managing Partners." Denton addressed those who are resigning over the "deep-sixing" of the story. "I respect the strength of your convictions," he wrote. "This is a decision you're taking to preserve principles you believed I still shared." The resignations, Denton said, will be treated "as being constructive dismissal, subject to severance."